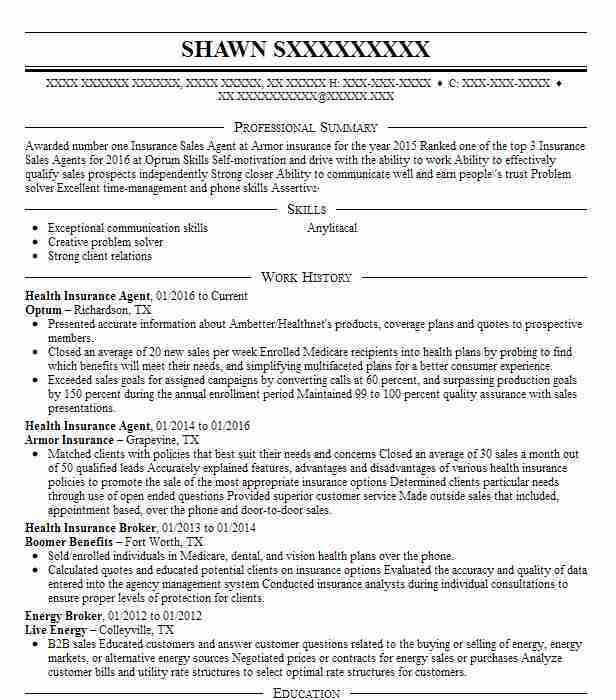 Diligent Health Insurance Agent who creates broad programs for clients and sells based on benefit and not cost. 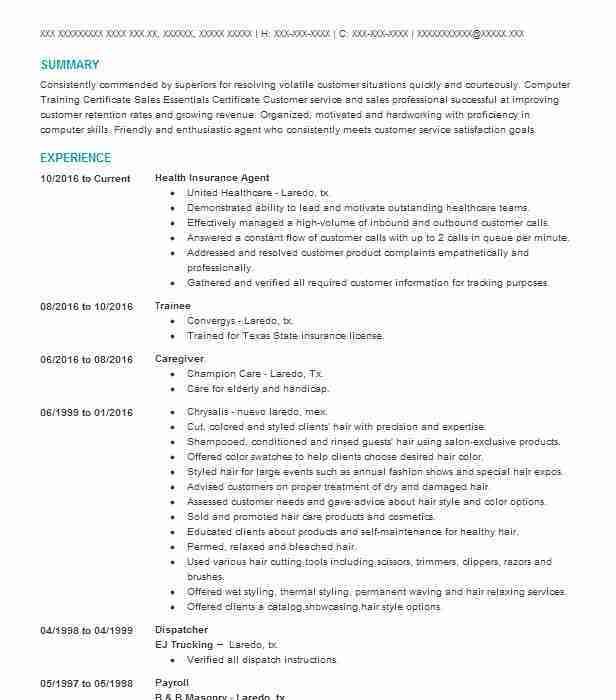 Adept at computer productivity software cold calling and staying up to date on all insurance changes. 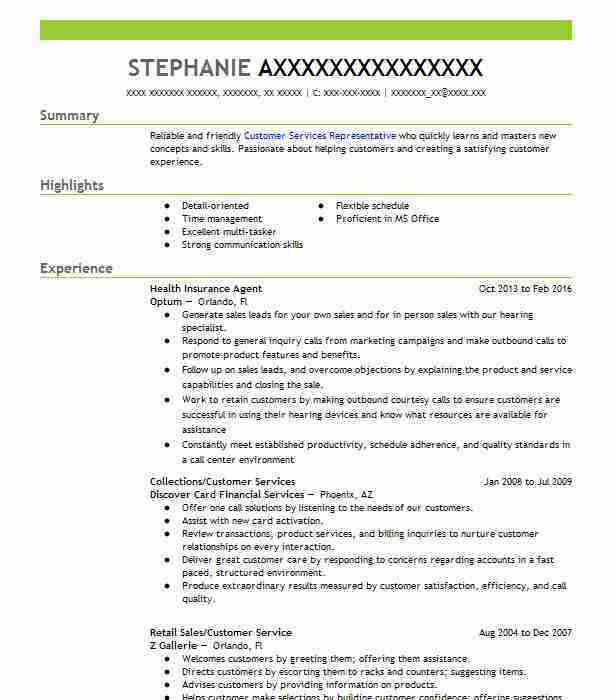 Specializes in corporate group sales strong customer service skills and customer training. Answered incoming calls from customers looking to buy insurance and customers with questions. Maintained personal contact with each and every policy holder of every group policy sold. Personally sent out premium reminders to customers that were in danger of falling behind in their payments. Helped customers to implement new health insurance plans over the phone and in person. Lead a group of associates designated to create a more efficient way to send out premium reminders to clients. Regularly went to customer sites to train policy holders on how to utilize their health insurance properly. Made outbound calls to introduce prospects to the company’s health insurance offerings. Helped take customer service calls when the customer service department was overwhelmed. Put together packages of introductory material for new clients. There are plenty of opportunities to land a Health Insurance Agent job position, but it won’t just be handed to you. 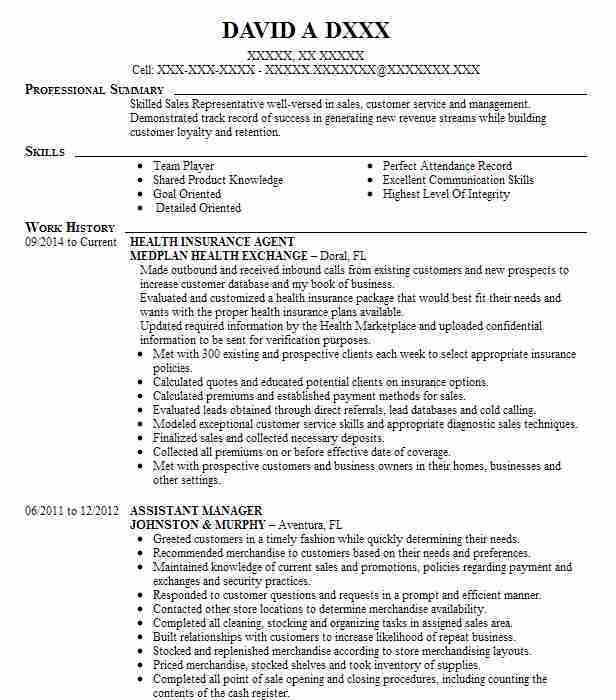 Crafting a Health Insurance Agent resume that catches the attention of hiring managers is paramount to getting the job, and LiveCareer is here to help you stand out from the competition.